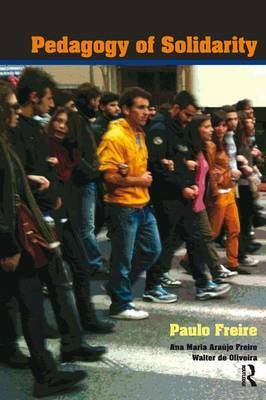 Famous Brazilian educational and social theorist Paulo Freire presents his ideas on the importance of community solidarity in moving toward social justice in schools and society. In a set of talks and interviews shortly before his death, Freire addresses issues not often highlighted in his work, such as globalization, post-modern fatalism, and the qualities of educators for the 21st century. His illuminating comments are supplemented with commentaries by other well-known scholars, such as Ana Maria Araujo Freire, Walter de Oliveira, Norman Denzin, Henry Giroux, and Donaldo Macedo.